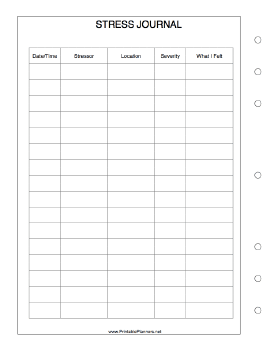 This stress journal page goes on the left-hand side of your executive organizer sized datebook. Pre-formatted boxes make it easy to draw or sketch each day. When stress interferes with your life, keeping track of triggers, severity, and feelings can help get a handle on the situation.